A three day family stay at 4000 feet in the Appalachian Mountains proved a couple things to me: one, my mom is awesome for 80 (or any age); and two, the Baker clan gets very silly when they play cards late into the night. In recent posts, I showed quick snapshots of a couple cool spots, but I wanted to offer more details now that I have time. 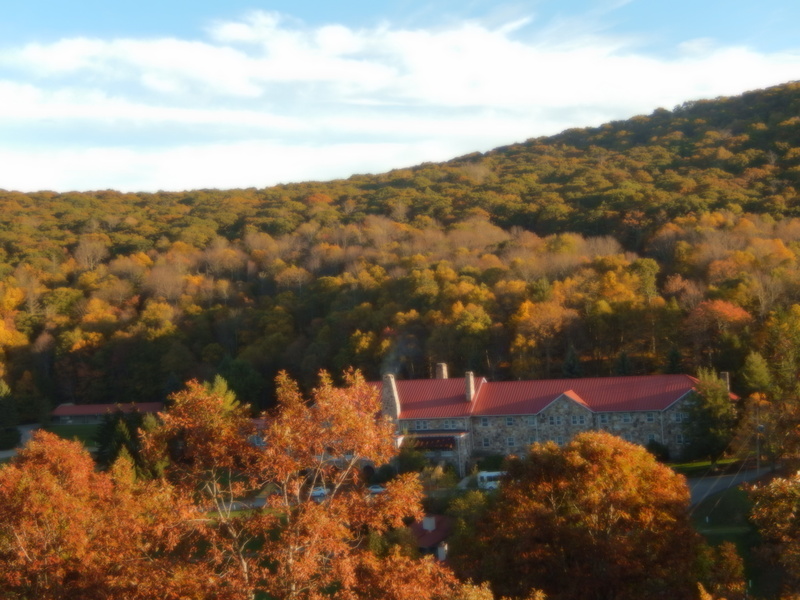 We arrived at Mountain Lake in the early afternoon and were immediately impressed by the stone hotel where much of Dirty Dancing was filmed. After settling in to a wonderful cabin on an oak and maple covered hill above the hotel, we had a unique lakeside walk—on what used to be lakebed. Now there were weeds and unused docks. The lake from the hotel. Much of the foreground used to be underwater. The lake is odd in multiple ways. 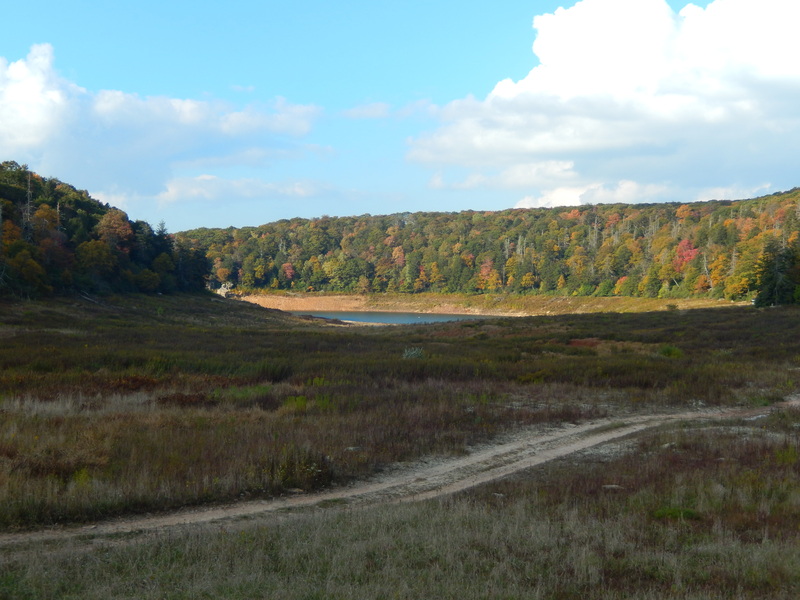 Westerners and New Englanders may be surprised to learn this is one of only two natural lakes in Virginia. Another weird thing is that it’s shrinking. Apparently water drains out of the bottom through bedrock. So the docks used in the 1990s are now sitting on grass or dirt, and the lake is a fraction of its former size. Yet the area is still lovely, and we very much enjoyed a trip around a third of the lake and a walk back on a trail in the woods. The next morning was gray, but in the afternoon, a break in the weather seemed like a good time for a walk. Mom was game, so we went for it. Bald Knob is a peak right above the hotel. Various trails drape sides, but we took the casual way up. Spectacular is not too much of a stretch to describe the views from the top. I wasn’t sure my mom would see views like that again under her own power, so we were all proud of her. Mom with arms up in victory! I enjoyed some rock hopping and took a few pictures. Later, we stopped into the hotel bar and enjoyed a drink and conversation. It was a great way to end our day. Not a bad place to relax after a long day hiking. Or even a short one. The next day, with some advice, we found the short trail to Wind Rock. Mom found her second killer hiking view in as many days. Not too shabby. Mom and my sister Sarah atop Wind Rock. But that wasn’t all. Later, we went for a hike in the forest east of the lake. After .9 miles, the Lower Jungle Trail ended up alongside the Treetop Adventures ropes course we’d read about. We jokingly tried to convince mom to do the ropes course, but to no avail, so we turned around and headed back on a parallel trail for variety. There were spots in the deciduous forest that were quite stunning in a certain light. Of course, I have been in such a forest many times, but still it is unusual for an Oregonian, so used to the green and brown of conifers. Colorful leaves brought a smile to my mug. 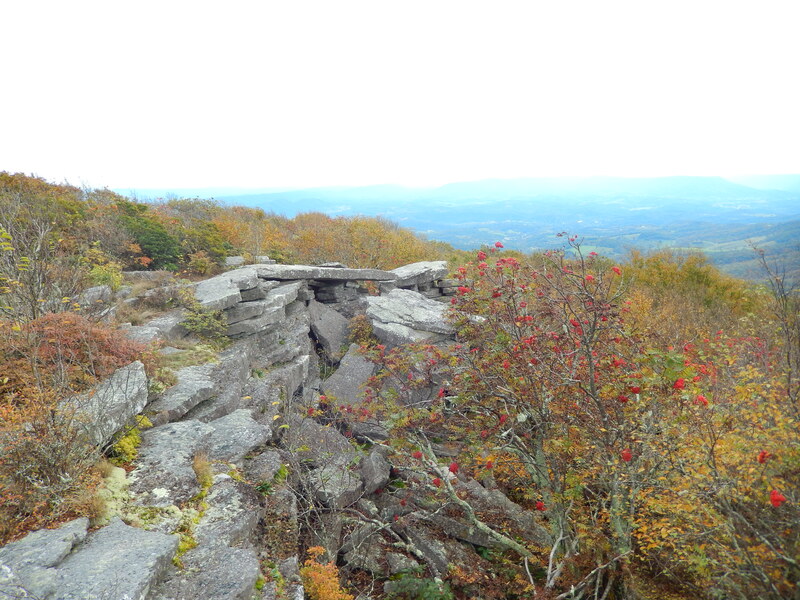 Close to the parking lot, I left the group, opting to head up the Bear Cliff Connector Trail, which heads up the flank of the mountain and connects with a ridgeline trail heading northeast from Bald Knob. The uphill section is fairly steep, but it’s short. Once I turned left on the Bear Cliffs trail, the terrain was mostly flat, but the walking was very pleasant as it wound over leaf covered ground, in a forest of small trees, occasionally broken up with rocky sections. Because of all the fallen leaves, occasionally the trail was difficult to follow. A mile or so along the ridge, my effort paid off when I found the tiny spur trail to a viewpoint next to the cliffs. I liked the way these trees were growing in the rocks. 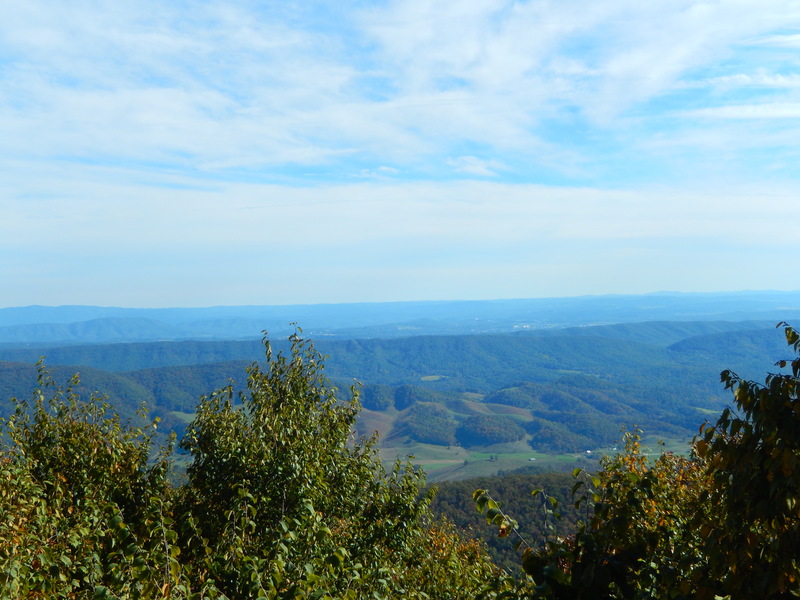 The vistas were not as grand as those at Wind Rock and Bald Knob, but they were still pretty nice. Besides, the crags in the trees were a bonus. I could see how bears might lurk in there for a winter’s nap. If I’d had more time, I would have loved to scramble around more. View to the south or southeast. 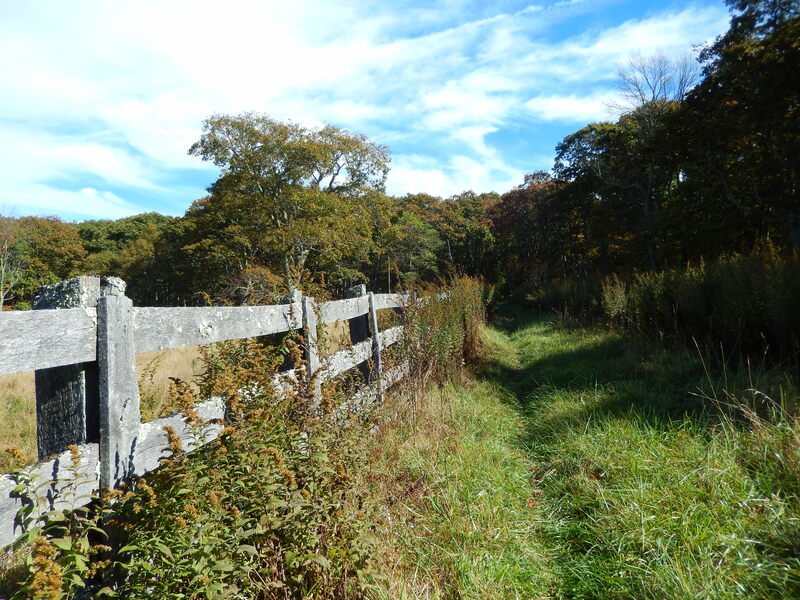 I was more and more surprised with the quality of the hikes in Virginia, and I was a bit sad that I would have to leave the next day, so I savored the last of the hike as I descended. Mountain Lake is definitely a place to revisit. Maybe next time we’ll get Mom to watch Dirty Dancing. 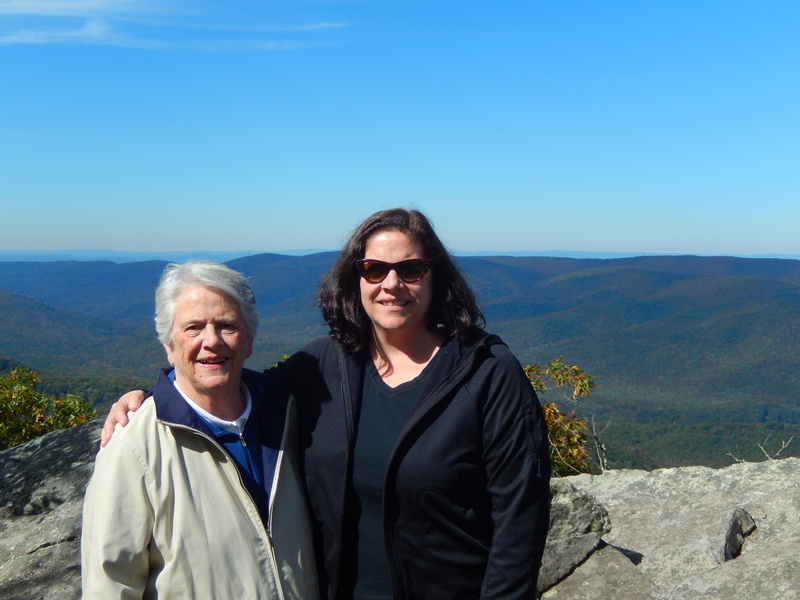 While enjoying a getaway with my mother and sisters at Mountain Lake in Virginia, we solicited advice about casual hikes. A helpful young woman in the recreation office at Mountain Lake Hotel told us about trails to War Spur and Wind Rock, both of which are located north of Mountain Lake off a gravel road. We chose Wind Rock, both for its easy access and its tremendous views. 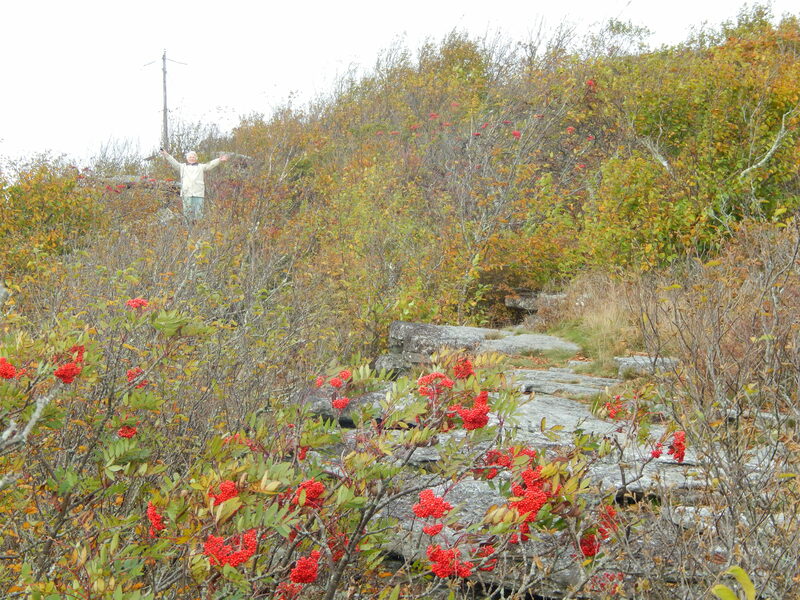 Besides, it’s on the Appalachian Trail. So my mom hiked on the AT on her 80th birthday. Not bad. The trail climbs through a deciduous forest full of colorful leaves to a viewpoint about .4 miles from the road. Once we got there, we scrambled out on the rocks, which drop off precipitously, and enjoyed the vistas of long ridges and deep valleys. On our descent, we met a man from Michigan section hiking the AT. I was a tad jealous. 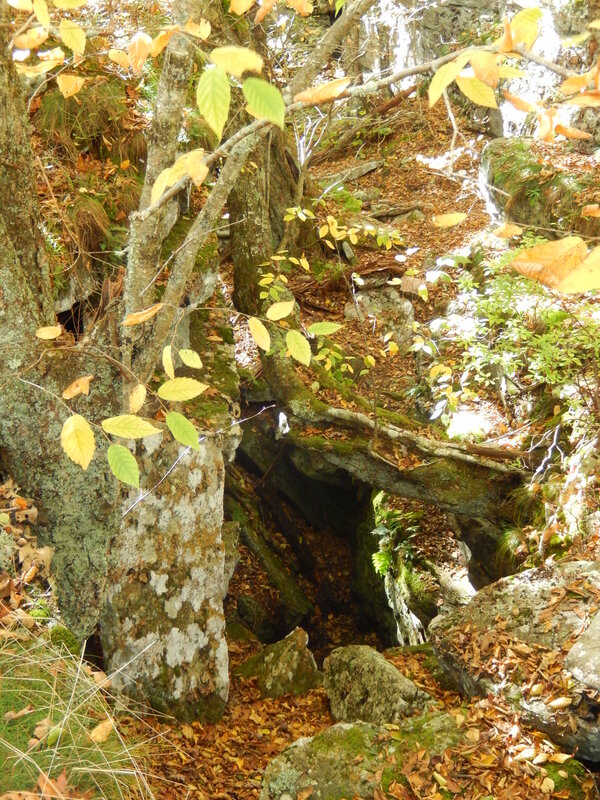 I commented that it seemed like a good time of year to hike, with cooler temps, but he said that water was harder to come by, so he had to hike further each day to ensure a new supply. Food for thought. I would recommend the Wind Rock hike to any people in the area who want maximum payoff for minimal effort. 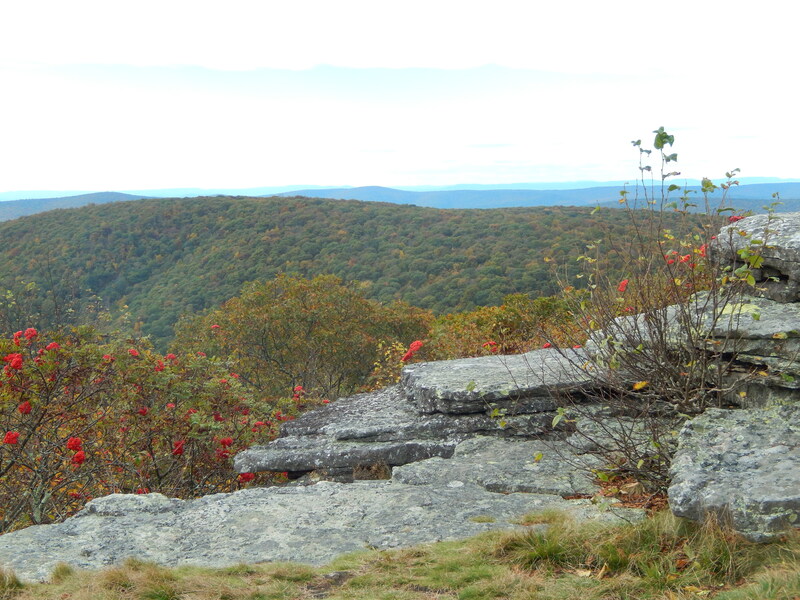 Great views from ledges atop this small peak above Mountain Lake, Virginia. A few days ago, I flew east to celebrate my mother’s 80th birthday. After a wonderful party at a friend’s house, my sisters and I drove with Mom out to the resort near Blacksburg where Dirty Dancing was filmed. The oldest peakbagger I know nailed a 4000 foot peak with only a little huffing and puffing. Not bad, eh? Stay tuned. There are more photos to come.